This post contains sponsored and affiliate links. Nothing would make Mom happier than conversation. That's why one of my favorite picks for Valentine's Day is a card game that makes everyone talk. Have a game night and invite the friends over for a fun and provocative thinking game - and don't forget the babysitter! Made Amazon's Best Sellers Top 100 Card Games for 2015! 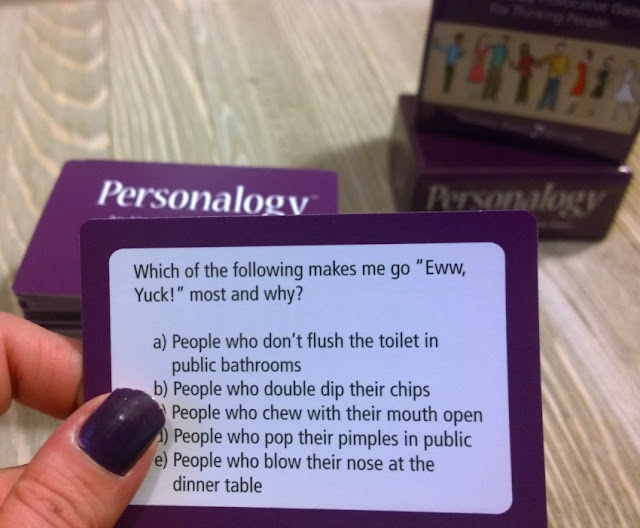 Entertaining Card Game that instantly gets people talking, laughing and having fun! It's more than a game, play without points as an Icebreaker or Conversation Connector for parties, events, team buildings or dinners at home with friends. The box is designed to be travel sized, small enough to put in your purse, backpack or glovebox, so take with you on vacation, play in the car, makes road trips FUN. Triple AAA recommends it for road trips too! Bring to a friends house. Great hostess gift, birthday gift or fun for a Singles party. Spice up Girls Night Out at the bar and meet new people. 135 absurd, entertaining and funny questions and surprising answers from the people you play with. It sparks fun and unusual conversations that take you on an adventure with your friends, family or love interest you want to get to know better! 2 ways to play; with our without points. Find out interesting facts about your friends or family you never knew before! No matter what her style, all mothers appreciate a nice piece of jewelry. That's why I love the Inspired Silver Jewelry Club subscription box. I recently had a chance to work with them and received some of the prettiest jewelry. They sent two bracelets, two necklaces, and a gorgeous scarf - all of it is jewelry that I could see myself wearing. Inspired Silver has over 40,000 designer & celebrity inspired quality jewelry pieces in stock. Every month, they hand select from our incredible inventory to create your Monthly Inspired Silver Jewelry Box. 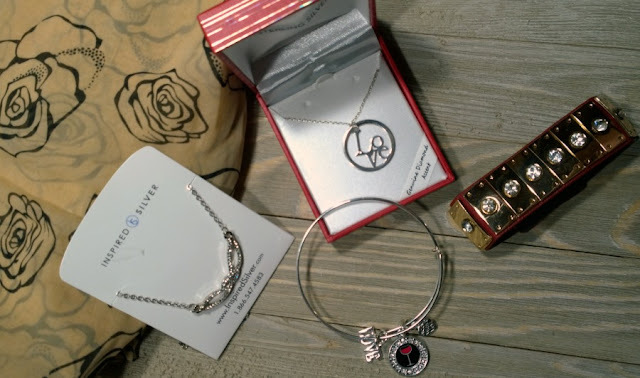 Every box has a free charm bracelet and free shipping, with a money-back guarantee if you don't like the pieces they send. For only $24, you can get the woman you love a subscription box with over $90 worth of jewelry - delivered to her every month. Check them out on CrateJoy. Nothing says, "I love you," more than Precious Moments. I've talked about Precious Moments on here a couple of times before; my parents' wedding cake topper was a Precious Moments figurine and so they are a huge symbol of love in my eyes. For nearly 40 years Precious Moments has been creating gifts that celebrate caring, sharing and love. 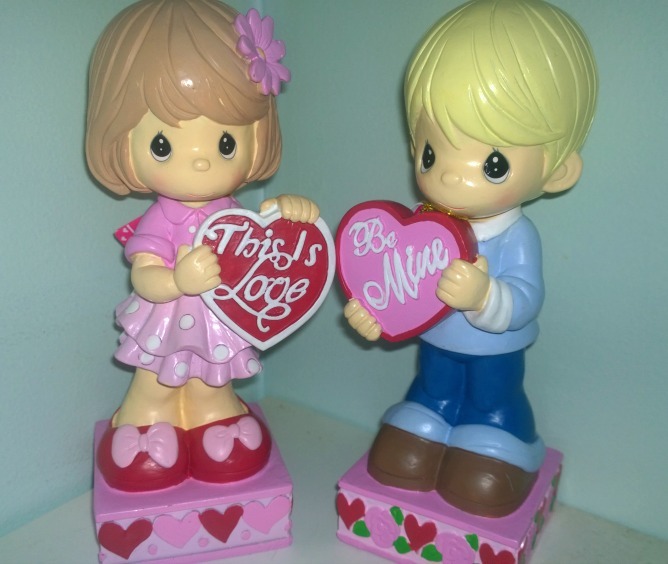 At this time of year when love is in the air, Precious Moments has the perfect gift to say “be mine” to your special Valentine. Send your most heartfelt messages to loved ones without speaking a word and find the perfect Precious Moments gift to say “I love you!” now available at Publix Stores. Find these at your local Publix. What's your favorite gift idea for moms?